DESCRIPTION Amazing opportunity in Lower Mount Royal for a Work/Live Townhouse! This beautiful home features 2 Master bedrooms, each with their own ensuite and walk in closets, and an excellent floor plan throughout. The high-end kitchen is finished with upgraded stainless appliances, plenty of cabinet space, and rich quartz countertops. The living room is complete with built in cabinetry, and plenty of natural light from oversized windows. Upstairs you will find 2 spacious Master bedrooms and in-suite laundry. Enjoy the summer from either one of your 2 decks, and the comfort of a heated double attached tandem garage. 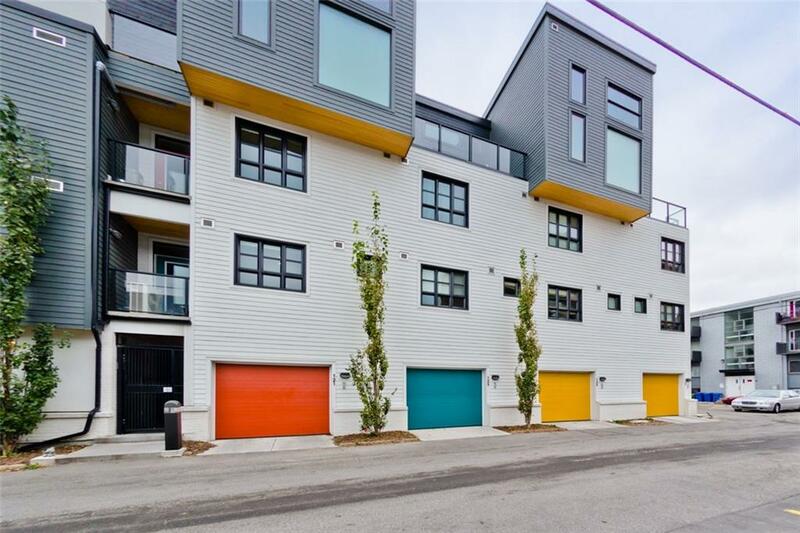 This home is ideally located close to trendy 17th Ave, shopping, and all amenities. **Condo fees include Heat, Gas, and Water. Home for sale at #123 1719 9a ST Sw Calgary, Alberts T2T 6S3. 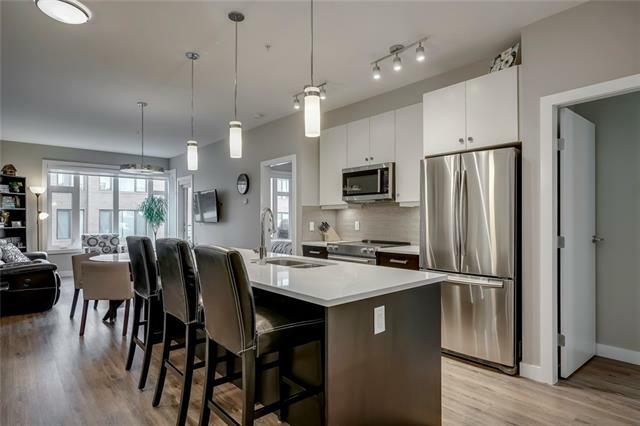 Description: The home at #123 1719 9a ST Sw Calgary, Alberta T2T 6S3 with the MLS® Number C4233170 is currently listed at $499,999.